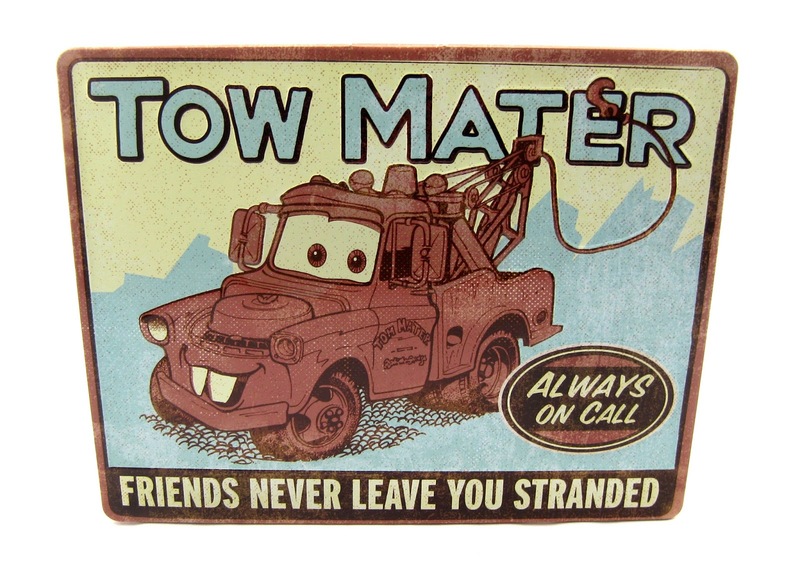 Just when I thought I was caught up, they have just released a "Phase 2" of products in stores now that I couldn't resist- including this very cool Cars "Tow Mater" Tin Sign. This is a classy, really well made piece for any Cars fan. 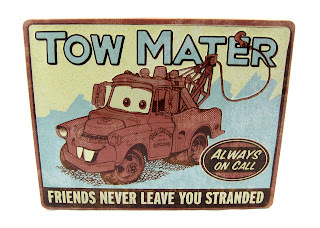 I really love the distressed/rustic look to it and the words "Always on call- Friends never leave you stranded." At the store, it was displayed on simple plastic easel (which would be my preferred method of display) but it also can be hung flat on the wall. It measures approximately 9" W x 7.25" H and retails for a reasonable $14.95.